If you have a website for your small business, chances are you have mobile visitors checking out your products and services. It’s increasingly common for mobile users to use their devices as their primary tool for surfing the internet. In fact, some visitors may not even own a computer, so it’s essential for your website to be mobile-friendly. 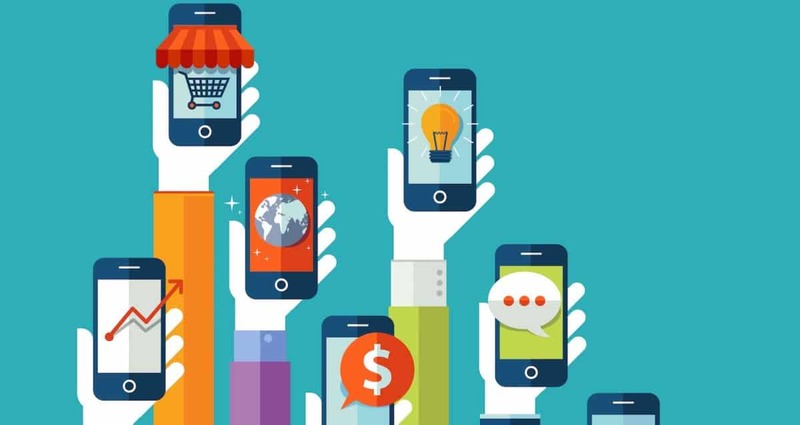 Here are six ways to help optimize your website for mobile users. The rule of thumb for a mobile-friendly site is to keep it simple and functional. One element that sometimes gets forgotten in the mix is the font you use for your site. There are so many font options for your regular full site that you can take advantage of, but for the mobile version, it’s best to keep it simple. A clean, standard font will work best on most mobile devices and won’t have your users frustrated with error messages. Another issue that may frustrate mobile users concerns the width and margins of your site. Ideally, the mobile version of your site shouldn’t be the exact same width of your full site. If you don’t make changes to margins and widths, your users will have to scroll across their phones or tablets to see the entire site, and that can annoy them. Instead, you want to shrink your margins down for the ideal mobile screen width. This may mean you’ll have to take away some features or make some adjustments. Just because your visitors are on a mobile device doesn’t mean they should get a barebones experience when looking at your site. While it’s fine to cut back on some full site experiences, don’t do this with your site’s images. Today’s mobile phones have impressive high definition screens that give users a unique experience. It’s important to have higher resolution images for mobile sites so users on tablets or smartphones don’t encounter blurry or poor quality images. Small business website design for a mobile site should also include an option to go back to the regular full desktop site. Some users prefer to experience your site using the regular version instead of the mobile. Giving them that option will help you cater to a larger audience and make customers happy. The other thing to consider for mobile sites is that users have a variety of different types of devices and your mobile site may not look the same for each device. Having the full site option helps if users have various issues stemming from the phone’s brand. It’s also worth it to consider creating a mobile app to pair along with a great mobile site. Apps can be much more functional for your users and give them more features to access your products and services. If your company offers a service that needs reservations or some sort of booking process, an app can be a better experience for your clients. Lastly, your website won’t be a success if you don’t commit to routinely testing your site. The testing process should be ongoing, even beyond the initial launch of your mobile site. It may be wise to invest in some sort of outsourced testing to ensure your site works under a variety of different circumstances. This way, your site and your customers won’t be sidelined by problems with functionality or features. Effective website design goes beyond your desktop experience. All businesses online need to invest time and money into a smart mobile site that keeps your customers engaged and informed about all that you and your staff offer.